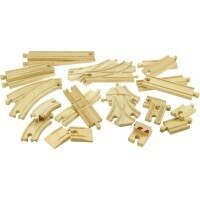 What could be more useful than a wooden train table for children to set up and play with their Bigjigs Rail set? 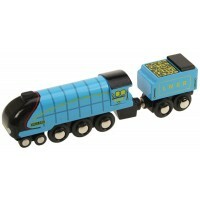 How about a table with drawers for storing trains and other toys? This sturdy wooden table is a perfect size for children to sit or stand at as they set up and then spend hours playing with their train set. The table’s colourfully illustrated surface will inspire exciting track layouts and lots of fun and games. 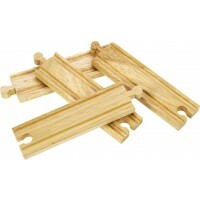 This very useful play table is compatible with other wooden train systems and doesn’t even have to be used for train sets! Table dimensions: L102.50cm x D73cm x H32cm approx. 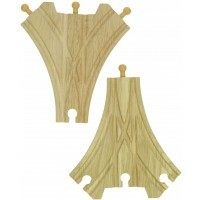 The Train Table with Drawers is compatible with the Figure of Eight Train Set and the Fairy Figure of Eight Train Set along with other small and starter wooden train sets.